Wondering how to make your perfume last longer? Well of course you are, you didn’t just happen to stumble upon this article for no reason at all! Let’s get into a little perfume talk about how you can make your favorite fragrances last longer than ever before. 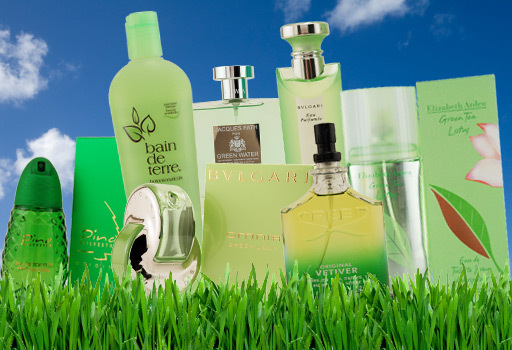 First, let’s take into consideration the type of fragrances you are using. Perfumes are made up of different concentrations, different classifications, and depending on which you wear, this may instantly solve your problem! The more concentrated a fragrance, the longer it will last. So what do you wear? Perfume? Espirit de Parfum? Eau de parfum, eau de toilette, eau de cologne, perfume mist or splash? HA! You didn’t know that all existed did you? And no..they are not named differently for marketing purposes only, they actually have different aromatic compounds, which effect the intensity and longetivity of your scent. So…if you are using a eau de toilette, which is most common, and are looking for a stronger, longer lasting fragrance, go with an eau de parfum. That was easy, right? But want more? We got you covered! Layer up! Lucky for us, layering with fragrance is easy to do when we have matching shower gels and body lotions offered with our favorite fragrance. Using the shower gel, soap, shampoo, etc. of your fave fragrance will help make your fragrance last all day long! When you apply your fragrance, apply it to areas that produce heat, so think the base of the throat, the wrist, your elbow, back of knees, your ankles and of course work your way from head to toe. When your skin is moisturized, your skin allows the perfume to soak into the skin and last longer, rather than quickly evaporate. Here’s a great way to layer up on your fave fragrance too! Apply the matching body lotion before applying the perfume. 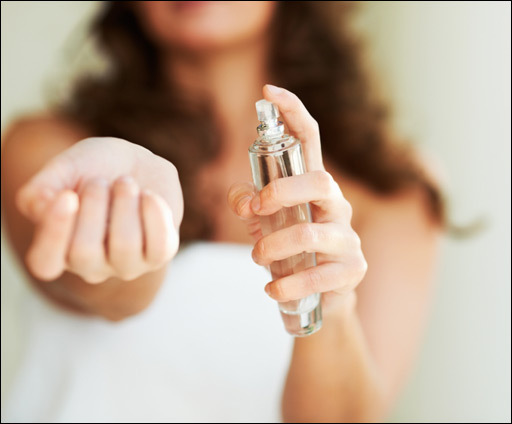 Don’t apply on your clothes since perfume is made to work with your body, it’s responsive to your body heat. DO spray perfume in your hair for a lovely, lingering effect. There are tons of beauty trends that are way out there, and pointy nails are just one of them that to us, are just plain weird and out of the ordinary. This claw-like nail look is perfect for Halloween weekend, that is of course if you plan to dress as a witch or cat, but other than that...completely uncalled for. Sorry! Celebs like Fergie, Lady GaGa, and Rihanna have been sporting this crazy nail shape for over the past year or so, but this wacky look needs to get out of the spotlight. Firstly, how do you do everyday things, like use the keypaid to dial a phone number on your phone, or button your shirt..pants, type on the keyboard? The questions are limitless...and don't even get us started with thinking about this look and it's poor health of your nails, can you imagine? 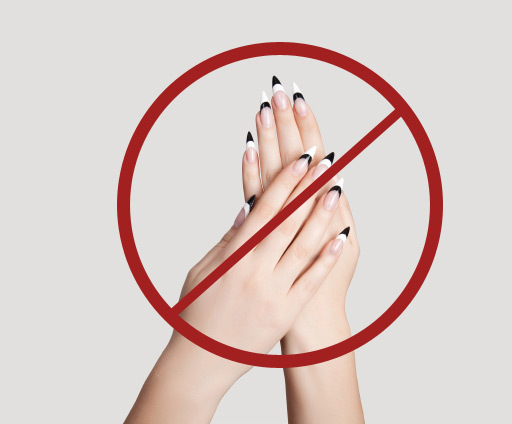 Filing your nails to they are pointy just makes us shudder. Would you wear this nail shape trend? This beautiful braid looks amazing, and amazingly complicated, but trust me, after trying it out, it's totally not! Suprising, yes, but true. This may be one beauty look that looks hard and is the complete opposite. So grab a hair scrunchie and braid along with us! You can wear this braid however you'd like, but most often, we've seen it on the runways and on celebs pushed to the side. So, for a side fishtail braid look, follow the simple steps below for an unbelievably easy look. Grabbing from the outer pieces, begin braiding. Take a small piece from one ponytail and place it in the middle, then take a small piece from the other side and place it in the middle. Continue this pattern of alternating taking hair from each side of the pony tail until you have gotten down to the last hair strands. For his Spring/Summer 2012 collection, Timo Weiland's overall look was beachy, laid back and had this downtown NYC look with a Hawaiian feel, if you can picture that. Timo said, “I wanted the hair to look fresh off the beach, going to an event, not enough time to polish but still looking beautiful and natural. Not fully up and controlled but more controlled chaos with curls and waves." James Boehmer, Director of Global Artistry at NARS said “Timo’s idea of the collection is like Jean-Michel Basquiat or another New York downtown artist, going on vacation." The models had sunburned cheeks, blushed with a tinted radiant moisturizer. Sock bun here, sock bun there, sock buns are literally everywhere! And little may you know, they're super easy to do, which may not be convincing considering how perfect they look, but we swear, they really are easy and quick to do! Follow our simple steps below and get that perfect sock bun 'do on your hair to do! 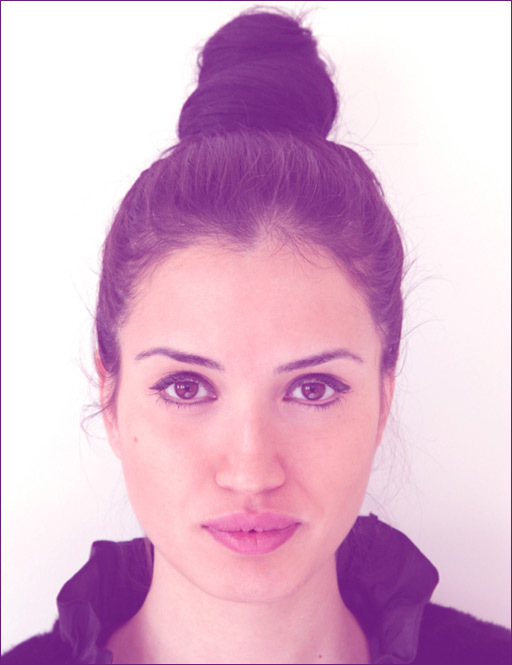 Depending on your bun preference, whether it be high or low, create a tight ponytail. Will you try the sock bun look? What you know and what you have been told may just not be true...and that's why we're here to set the facts straight from the myths. 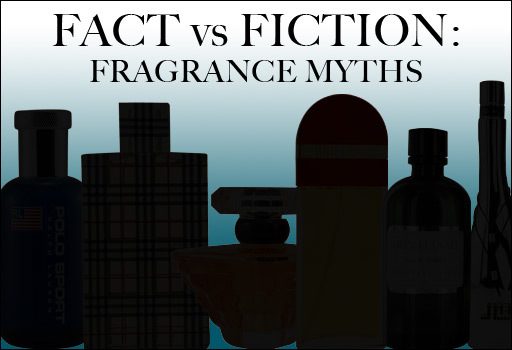 So read on...for the truth, and only the truth about fragrances. FICTION! Don't waste your spritzes of expensive spray...and possibly be staining the carpet, fabric, and anything else your misting away at. Fragrance is meant to work with your body heat, that's why it's best to apply to your pulse points. Rub your wrists together to distribute your fragrance equally. FICTION! Don't do this, please! This will crush the fragrance molecular structure of the perfume, and not sounding so scientific, this changes the fragrance and how it will smell on you. The more expensive a perfume or cologne, the better quality it is. FICTION! While it may be true for some instances, this really is all about personal preference. What perfume do you like? Was it expensive? Store your perfume in the refrigerator to keep it longer. FACT! The ingredients in fragrances break down over time, and exposure to light and heat will speed up that process. While keeping them chilled may keep them longer, avoid the extreme of freezing cold, notes can be affected by extreme temperatures. Eau de toilette, eau de parfum, and perfume are all the same. FICTION! These are the distinctions of the actual concentration of the scent. With an “eau,” or water, generally being the lightest (and often less expensive). Get the full detail here. Earth Day is this Sunday and what better way to celebrate than with beauty products that are green. Green, as in it's color, it's fragrance notes, or even the ingredients that make it up. Take a look at what we think are pretty honorable for the day of mother earth. Pino Silvestre cologne –Introduced in 1955, this romantic scent has fragrance notes of oakmoss, woods and patchouli and is non doubt, masculine and enticing. Bvlgari Omnia Green Jade perfume – This lovely scent was introduced in 2008 and has yummy notes of pistachio, white woods, spring water, green mandarin, jasmine, pear blossom, musk, white peony, and nasturtium. Does it get greener than that? Bain De Terre Lemongrass Volumizing Shampoo –An amazing shampoo formulated with botanical herbs and essential oils. This shampoo is high quality, pesticide-free, and extracted from ethically harvested plants using only the purest water. Bvlgari Green Tea cologne – Introduced in 1997, this was Bvgari’s first fragrance, with extracts of green tea blended with jasmine and rose and citrus scents. Creed Vetiver cologne –Take a guess on this one! Notes include cedar, vetiver and ginger. A classic fragrance with a very fresh, clean scent. Perfect for spring or summer time! Fujiyama Green by Succes De Paris—This fabulous fragrance features a blend of citrus, sweet florals, green tea, sweet woods and bay leaves. These beauty tips will work wonders, just ignore the fact they are a bit shocking, weird and simply put, out of the ordinary. 1. Don’t you hate when you wear that deep red or dark plum color on your nails and after you repeatedly try to remove it with nail polish remover, your nail has been left stained? Go sour with this one…grab a lemon wedge dipped in baking soda and scrub each finger nail for a clean and clear, shiny nail. Be careful for cuts and cuticles, this may sting if you have any open cuts. 2. Pepto-Bismol can be used for blemishes as well as tummy aches! Reduce the redness of blemishes and shrink those pores by dabbing Pepto onto your problem areas on your face and leave to dry. Wash away with warm water, voila! 3. Honey, honey…not only great in tea but great for repairing dry/cracked skin and wards off bacteria. Apply a small squeeze on your lips for a tasty remedy! 4. While we’re on the subject of honey and tea, chilled green tea bags work wonders for dark circles and puffy eyes! Green tea is loaded with antioxidants, so this will help reduce inflammation under your eyes or even help remedy those annoying blemish spots. Before applying to your face or eyes, be sure to let the tea bag cool, be especially careful when applying to your under eyes! Not into the whole tea bag idea? Grab some Preparation H, and de-puff those eyes. 5. Milk is not only a great source of calcium, but it’s great for skin softening. 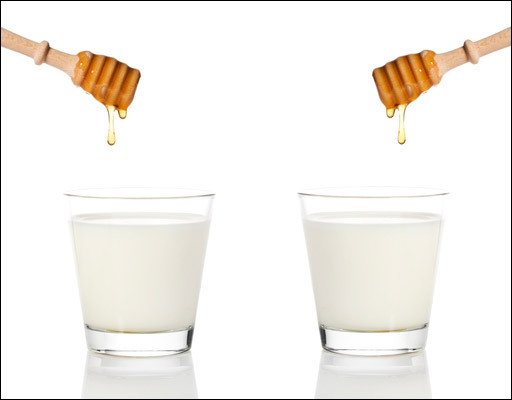 Add milk to a hot bath or soak your hands/feet in a milky watery bath, want to go crazy with it and get super soothing effects, mix in olive oil or honey! 6. Make it a double! Use your face moisturizer as a make-up remover! Made an ‘oops’ with your eyeliner or blinked when applying your mascara? No worries, take a dab of your face moisturizer and with a Q-tip, gently wipe away your mistakes. 7. Had a self tanning mishap? Lookin’ a bit streaky? Don’t panic, just head into your cupboard and find your new best friend, Baking Soda. Wet some baking soda in your hand and massage it on your tan mishap(s). This will exfoliate off all the streaks, uneven application, and dead skin cells that’s creating that blotchy tan look. After you’ve fixed your tanning error, try again! Have any weird but amazing beauty tips? Share them with us! FACT: This is true, you should switch it up! The ingredients in shampoos differ, and if you use one shampoo over a period of time, the ingredients can build up on the hair and reduce the products effectivness. So...have fun and play around with the shampoos and conditioners you choose! There are so many to pick from! FACT: There are tons and tons of studies on this topic, however yes, stress and hair loss can be related. With tremendous stress in your life, you may notice your hair may take longer to grow or more strands are being lost than normal. This is a result of your hair going into a 'resting' phase and some of these affected hairs may just suddenly fall out. If you are witnessing these symptoms, talk to your doctor on how you can relieve your stress. FACT: This is actually false! Hair may grow slightly faster in the summer, but this has nothing to do with trimming your hair, it has everything to do with your hormones. Do trim your hair often though, this will eliminate split ends and will in fact make your hair look healthier. FACT: Do yourself a favor and don't freeze yourself with a cold shot at the end of your shower. A douse of cold water has no effect on creating more shine for your locks. FACT: No matter what your grandma told you, brushing your hair 100 strokes a day will kill your hair and it's follicles. Brush it as you normally do, get the knots out, style your hair as you wish, and put the brush down. Finish the look by tucking hair behind the left ear. On the right side, also tuck your hair behind your ear but pull forward at least 1 inch side section over the ear. Secure with bobby pin. Now for the lips, take a deep red lip liner and fully line the entire lip. Be sure you exfoliate your lips before doing so.